Cape Cod camping can range from tents, tepees and pop-up trailers to enormous luxury RVs. There are plenty of public and private campgrounds from the Cape Cod Canal to Provincetown to accommodate every kind of camper. These campgrounds are at the edge of the dunes and they are deep in the woodlands tucked next to one of the Cape’s many ponds. Large and small, remote or near the action, there is something for everyone. There are three general categories of Cape Cod campgrounds: beach, state park or private campground. All are relatively close to the water. Some allow boat parking; others do not. Most accommodate tents and RV’s; a few have only tent camping sites. Some are quite basic; others are small woodland resorts with many amenities and activities. The popularity of Cape Cod camping has never been greater  so, if you are thinking about renting a campsite on the Cape this summer (peak season is from mid-June through Labor Day), you should definitely make a reservation. The Cape Cod National Sea Shore on the Lower Cape allows RV camping on the beach at Race Point Beach in Provincetown. There are limited camping permits offered on a first-come, first-serve basis and no vehicle can stay for more than 21 days during the peak season. Tents and trailers are not allowed. Camping on the rest of Cape Cod’s beaches is generally not allowed. One exception to this, however, is Waquoit Bay National Estuarine Research Reserve and Washburn Island near Mashpee/Falmouth on Cape Cods south shore. The 300 acre Washburn Island in Waquoit Bay is managed by the state of Massachusetts. Ten campsites are available on the island. There is no electricity or fresh water but there are composting toilets and outhouses. The island is only accessible by boat, canoe or kayak. If you are looking for primitive Cape Cod camping…This is the spot for you! More information can be obtained by visiting their website atwww.waquoitbayreserve.org. Another option for more rustic Cape Cod camping is at one of the Cape’s three state parks. The camping facilities at the parks are second to none. Reservations can be made via www.reserveamerica.com. Scusset Beach State Reservation and Shawme-Crowell State Forest are located on the Upper Cape near the Cape Cod Canal and offer year-round camping. They are close to beaches, have extensive trails and fantastic fishing spots. Scusset is smaller and has water and electric hook-ups. Shawme-Crowell is larger but has no hook-ups. It also has several yurts (round, semi-permanent tents) available for camping. The nightly rates at these locations are generally a bit less than at private campgrounds. Nickerson State Park in East Brewster is the largest and most popular of Cape Cods state parks. It is made up of over 1900 acres of woodland which used to belong to Roland Nickerson, the late 19th century multimillionaire who lived in the mansion that is now the Ocean Edge Resort and Club. There are 420 large camping sites here but none have electric or RV hookups. There are toilets and showers as well as fireplaces, picnic tables and a dumping station. The park also has several yurt campsites. Nickerson is more wooded than Cape Cod’s other state camping sites. These woods contain several glacial kettle ponds to explore. You can boat, swim and fish in the parks ponds. The Cape Cod Rail Trail passes close by the Nickerson camping sites for those who enjoy biking. Cape Cod Bay is within walking or biking distance. Nickerson is open year-round and there are just as many winter activities as summer activities. Cape Cod camping can be whatever experience you want it to be  especially if you choose a private campground. Some Cape Cod campsites are just that: a place to camp. Pitch your tent, take a shower and spend the rest of your day exploring all the beaches, shops, restaurants and activities the Cape has to offer. Other campsites are really resorts with everything you want contained within their properties. For example, the North of Highland Camping Area in North Truro does not allow motor homes at its campsite. Camping here is best done by tent. North of Highland does have a rec room, laundry, camp store and playground but focuses on the natural, relaxing beauty of the outdoors. Sweetwater Forest in Brewster, on the other hand, offers a whole host of activities including biking and hiking paths, five playgrounds, fishing derbies, crafts, games, mini golf, TV, video arcade, free wireless internet service, live entertainment, a basketball court, horseshoe pits, a dog day kennel, tractor-pulled hayrides and campfire barbecues. Cape Cod Camp Resort in East Falmouth offers a similar variety of activities. You can see how the pace might be just a little different than at the more rustic camping locations on the Cape! Regardless of the campground you ultimately choose, Cape Cod camping offers a wonderful opportunity to explore the beauty of the area and, most importantly, have a lot of fun with your family. 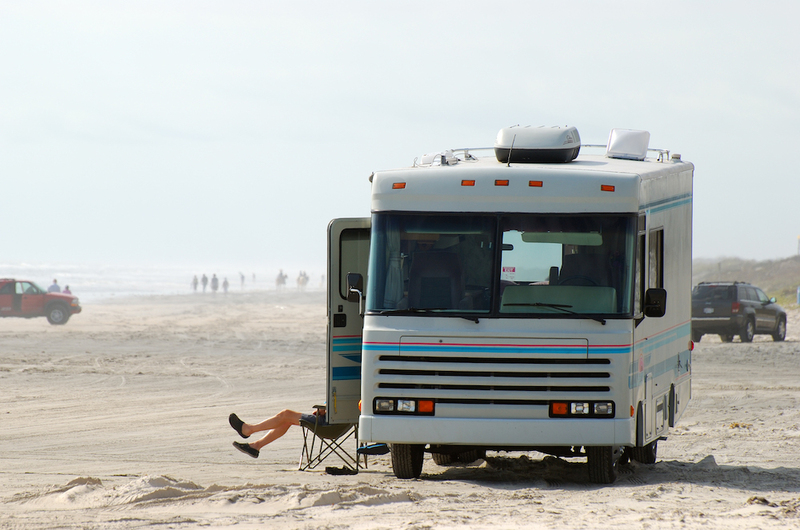 Take a look at these Cape Cod campgrounds and let us know which one are your favorites! We hope that you find the information on Cape Cod camping useful. We are thrilled to be able to share our knowledge of the Cape with you. Please tell us about your adventures camping on Cape Cod.